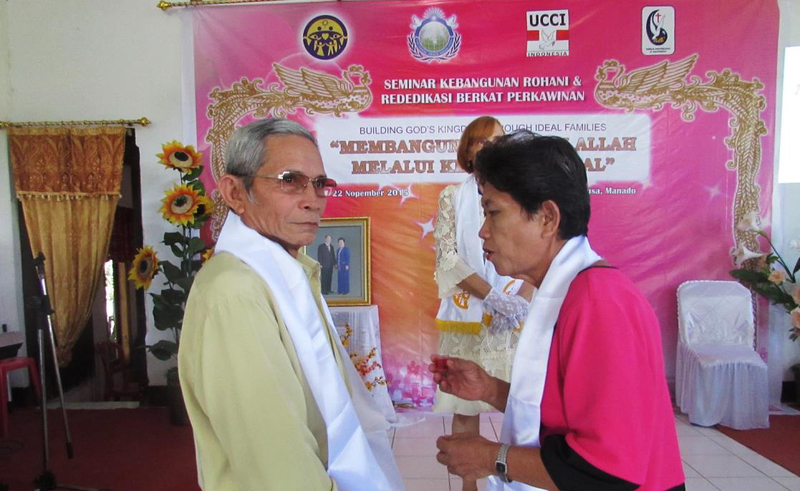 By UPF – FFWPU Indonesia, Alfred R. Forno: This 2-day Christian Revival Seminar and Blessing Ceremony was organized by a pastor’s couple, who completed the 3-day ceremony, in their own church in a village outside Manado city. The seminar focused on the Principle of Creation, the Human Fall and Restoration through the Blessing. 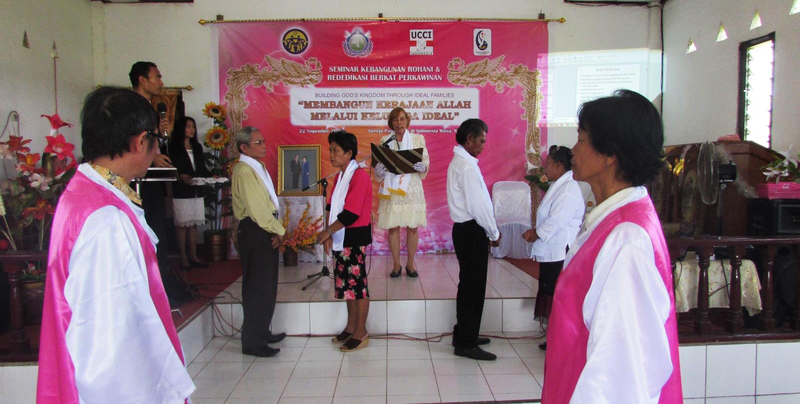 On the first day, 43 people participated in this program, mostly members of the Pentecostal Church in Indonesia (GPdI) Wusa, Manado and a few from other Christian denominations. The participants were inspired by the lectures and gave positive reflections. 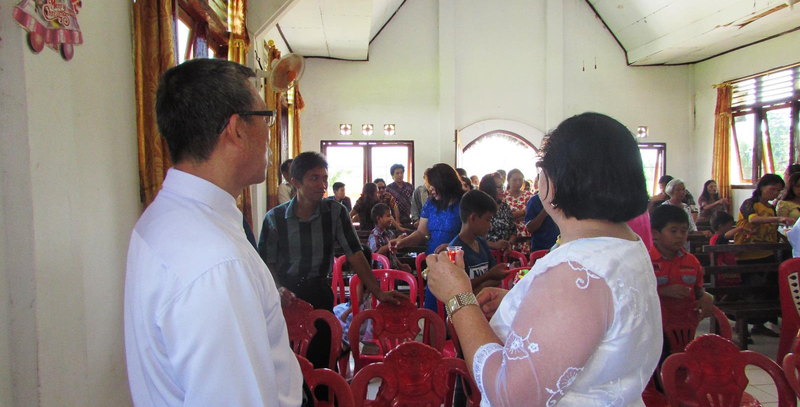 On the 2nd day, the Blessing Ceremony was combined with the local Sunday Service and approximately 100 people attended the program. 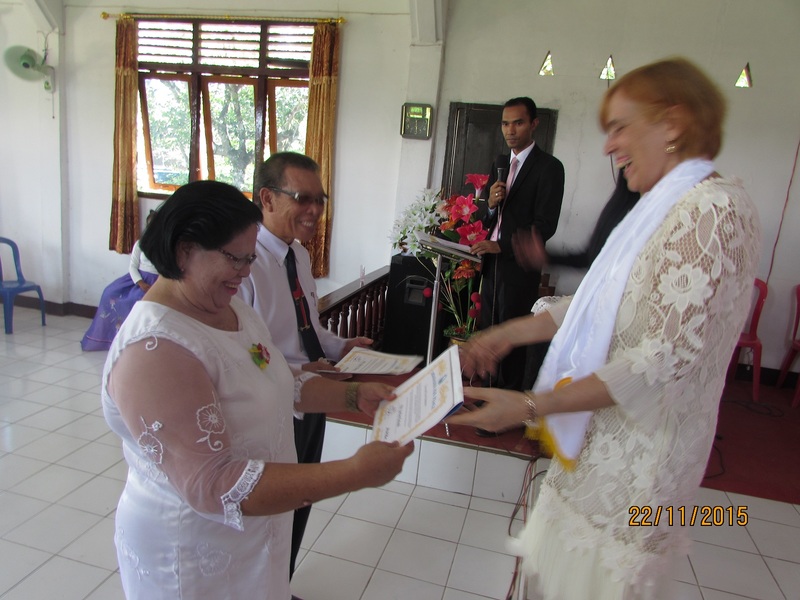 9 couples received the Blessing from God and True Parents. 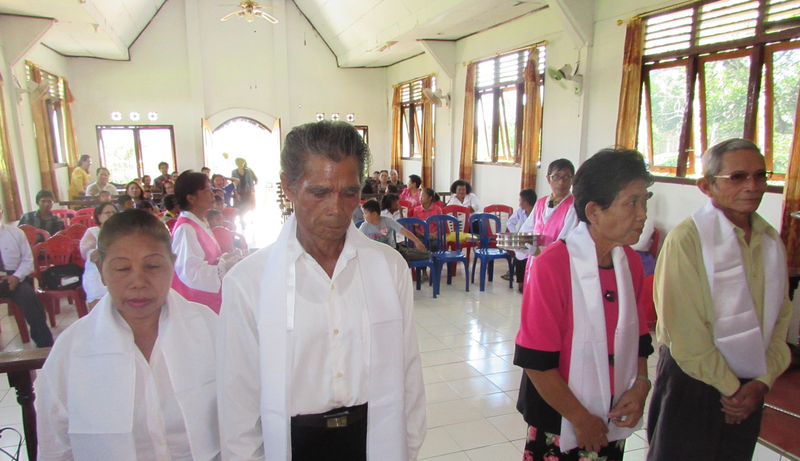 The pastor’s couple were motivated by the program to conduct another larger Blessing with 300 participants on the occasion of their church’s anniversary on 12 Feb. 2016 with more preparation and spiritual conditions like fasting.